Maybe you are part of the 55% of Americans who don’t make New Year’s resolutions, or maybe you are instead part of the 8% who self-report as being successful in achieving them. Losing weight, saving money, spending more time with family are all popular resolutions. Reading these statistics about New Year’s resolutions prompted me to observe that because most resolutions involve change, we are overlooking a powerful way to improve our lives: resolving to do more of what we do best. We all have a number of strengths, and focusing our resolutions (New Year related or otherwise) solely on the aspects of ourselves we wish to change risks spending precious time and energy on efforts that may not make much of a difference in our lives overall. Think of it as re-balancing your portfolio of personal attributes: you might achieve a higher overall return by investing more in your stars and not waste more time and fees fiddling with the dogs. 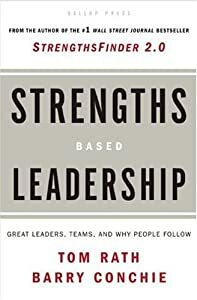 Some personal development pundits have suggested this approach as well, most notably Tom Rath’s book Strengths Based Leadership. I’m not suggesting you put on rose-colored glasses and ignore the aspects of your life you’d like to change. Often the act of writing it down and creating some accountability by telling others your resolution can help spark the change. But don’t overlook the aspects of your personal or professional life that you can resolve to do even more of, and have an even happier New Year (just don’t greet anyone with that phrase in March! ).